Dragonflies have always captured my heart! 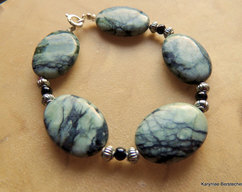 These delightfully detailed 20mm carved bone dragonfly beads just tickled my imagination and inspired this fun bracelet! 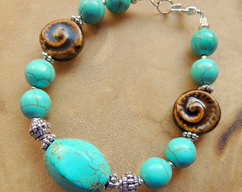 Turquoise magnesite is a soothing stone that also communicate balance. Dragonflies, in their short life, seek to find exuberant joy and balance that journey with the demands of survival. 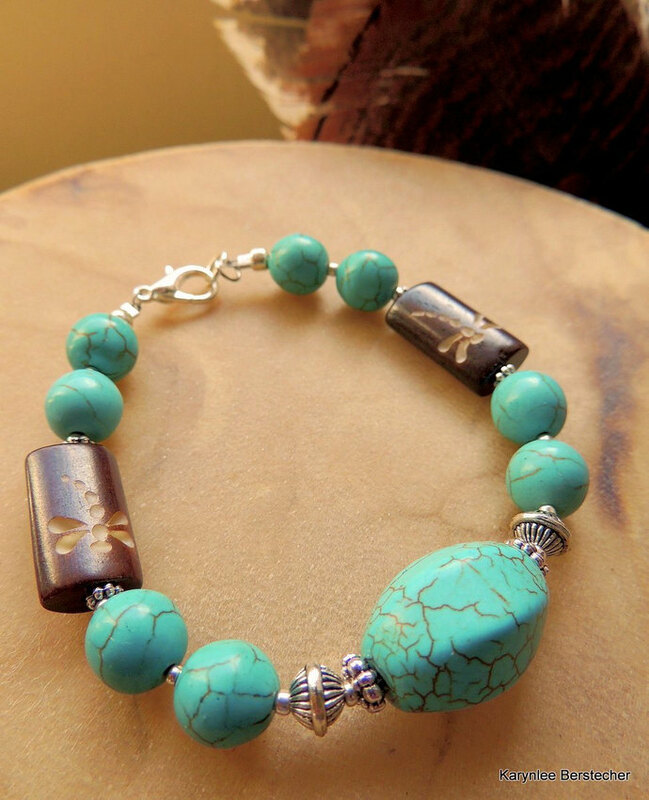 The graceful lines of the 23mm turquoise magnesite barrel bead flow as the flight of the dragonfly! 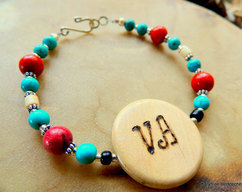 The 10mm turquoise magnesite beads add substance and peace to this Southwestern style bracelet! Closing with a silverplated lobster clasp, this just a tad over 7" bracelet is fun and celebrates the life of the dragonfly! 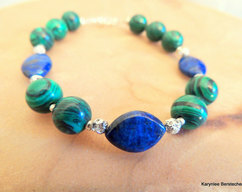 Perhaps this bracelet will inspire you! 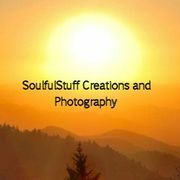 *As with all my jewelry, convo if you need an extension chain or adjustment to meet your personal needs!